Anything I can top with guacamole makes me happy. Use this pulled chicken recipe in chicken chili, over spaghetti squash or in butter leaf lettuce for tacos or collard greens for a spicy wrap. 1. Preheat oven to 325°. Place chicken in a Dutch Oven. In a bowl, mix the salsa, garlic, red onion, cilantro, chili powder, coriander, cinnamon, sea salt, cayenne pepper and black pepper and place it on top of the chicken. (You can also make this in a slow cooker on low heat and cook for 6-8 hrs). Bake for 90 minutes. 2. Take out Dutch Oven, remove chicken, place on plate and shred with two forks. Place shredded chicken back in the Dutch Oven and bake an additional 45 minutes. (If using a slow cooker, place back in for another hour on low). 3. 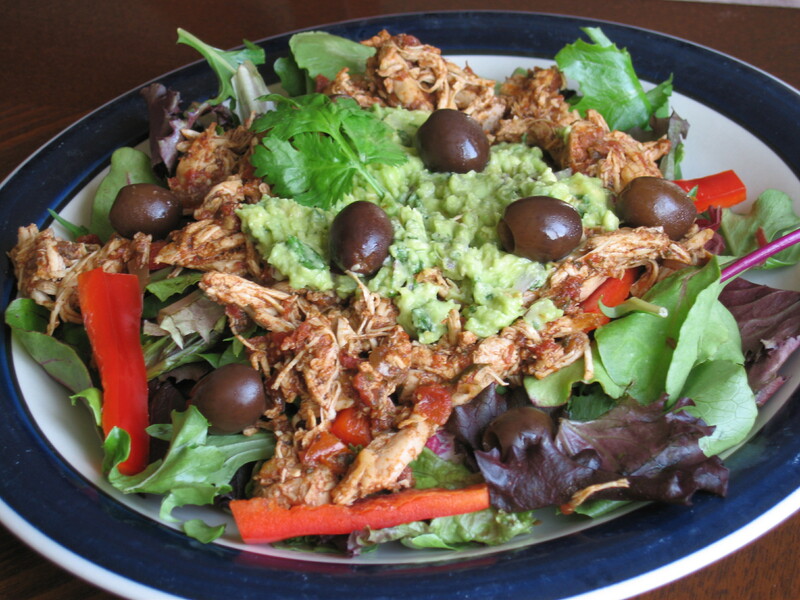 Serve on salad greens, bell pepper strips and use toppings such as broccoli slaw, black olives, guacamole, pico de gallo, cashew cheese or sliced avocado. Frittatas are my lazy answer to healthy and inexpensive cooking. I throw in everything but the farmer in this protein, vegetable and fiber packed dish. Got something from your local CSA and you have no clue what it is? Chop it up and throw it in a frittata. Why not? 1. Sauté bell peppers, green onions, zucchini, carrots and garlic in coconut oil for 5-8 minutes. Set aside to cool. 2. Use coconut oil to grease an 9×13 glass baking dish. 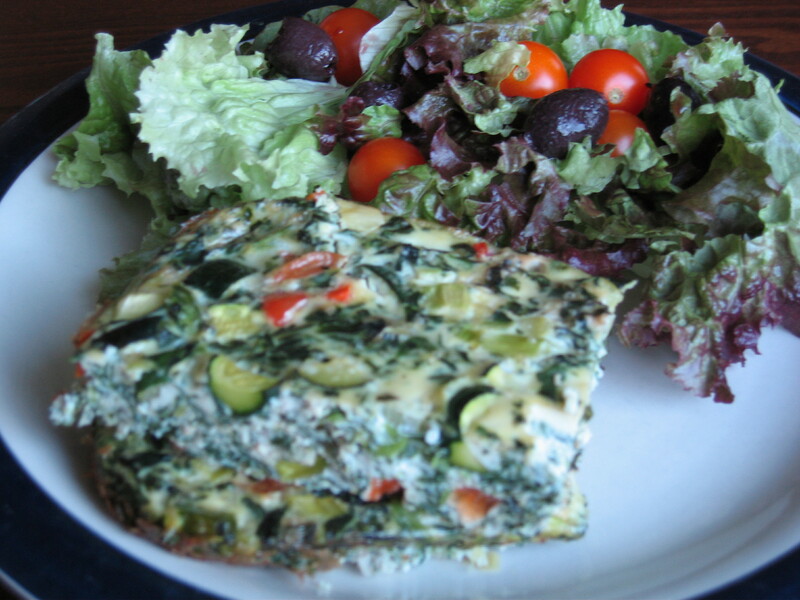 (That’s right, this is a super lazy frittata. No fancy “cooking it on the stove, then placing it in the oven.” Some may categorize this as an “egg bake.”). Preheat oven to 325°. 3. Whisk eggs and egg whites together. Add remaining ingredients, making sure sautéed vegetables have cooled so they don’t cook the eggs. Pour into glass dish. 4. Bake in oven for 35-40 minutes until an inserted toothpick comes out clean. 5. Enjoy plain or serve topped with sliced tomatoes, avocado, kalamata olives or a touch of goat cheese.